This brown bear & blanket set is totally adorable! 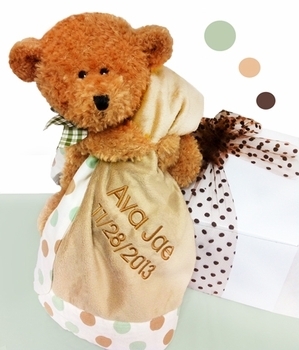 This gift set includes a luxurious soft blanket and a plush teddy bear toy perfect for welcoming the newborn's arrival. The large blanket also comes personalized with their name and birth date beautifully embroidered on it for a lovely special touch!